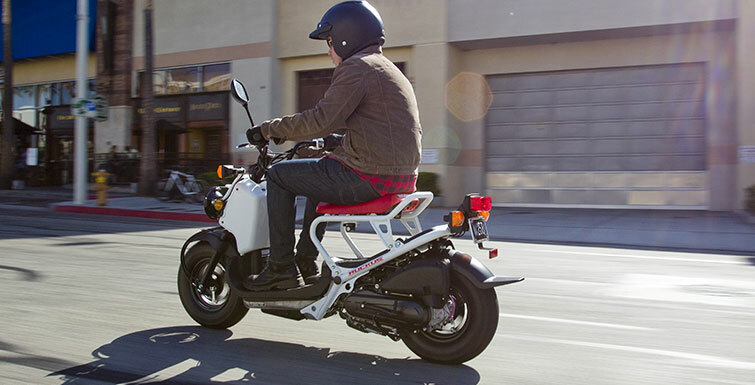 It’s time to jump in on the 2018 Honda Ruckus and go over all of the nitty-gritty details behind this 50cc scooter. 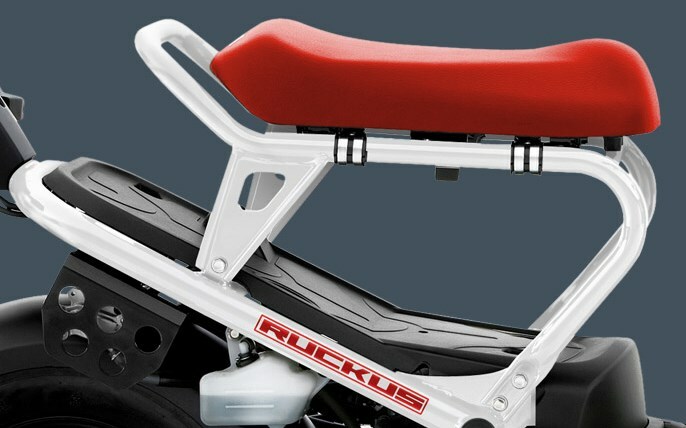 Well, technically the Ruckus is a 49cc scooter but a lot of times they are generically referred to as a “50”. 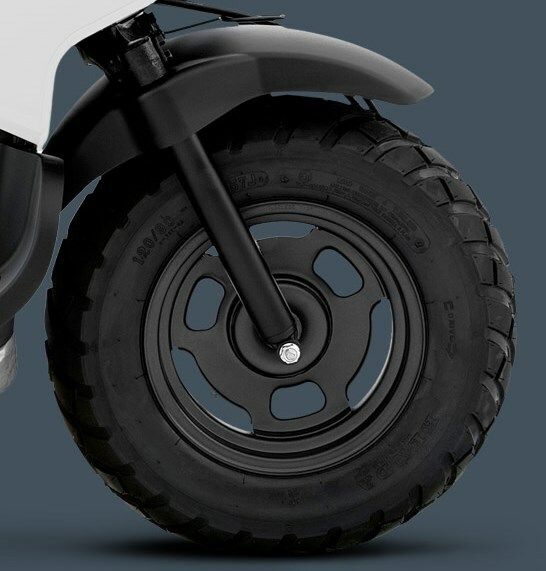 How did this odd-looking little scooter come to fruition? 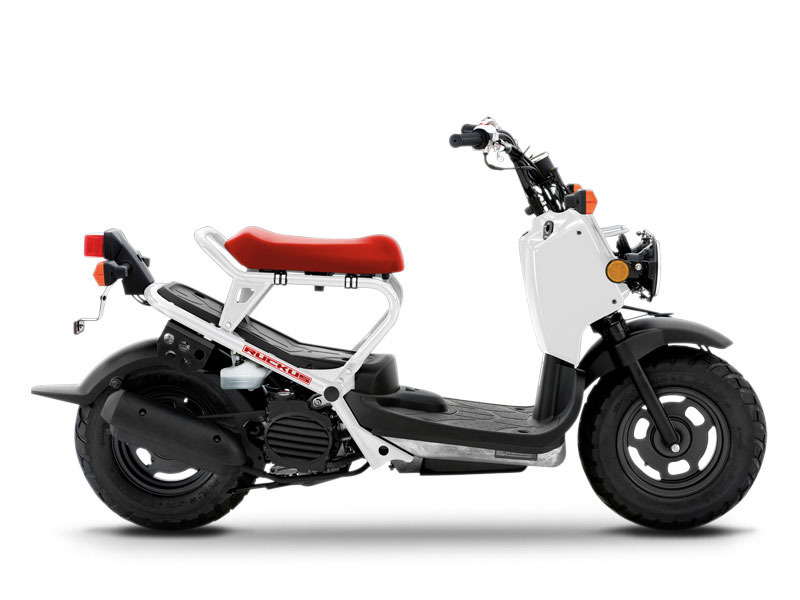 Honda originally released what we now know as the Ruckus back in 2001 in Japan and it was called: Zoomer. 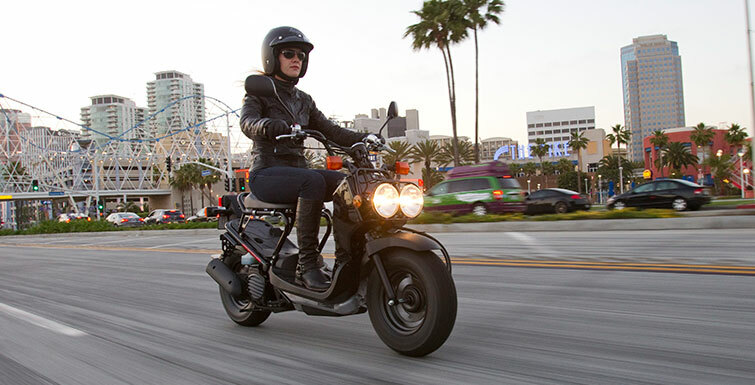 The Ruckus (model ID: NPS50) made its trek across the big pond and to our shores here in the USA in 2003. 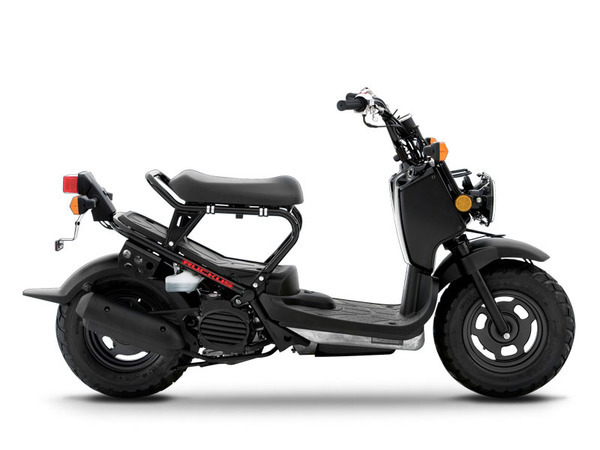 It has always been a great seller for Honda but it did have a slow start, fast forward to today though and the Ruckus has been one of the best selling scooters around and has been for more than a decade. 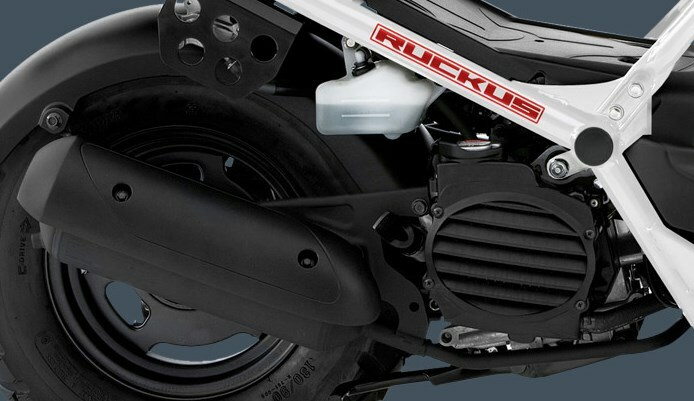 First up, let’s go over some quick facts about the 2018 Ruckus from Honda. 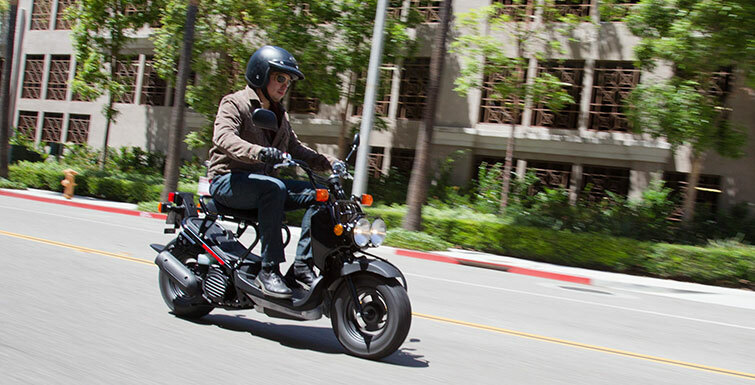 These are a few of the key points of information that people look for when doing research on a certain scooter that they’re interested in buying below. 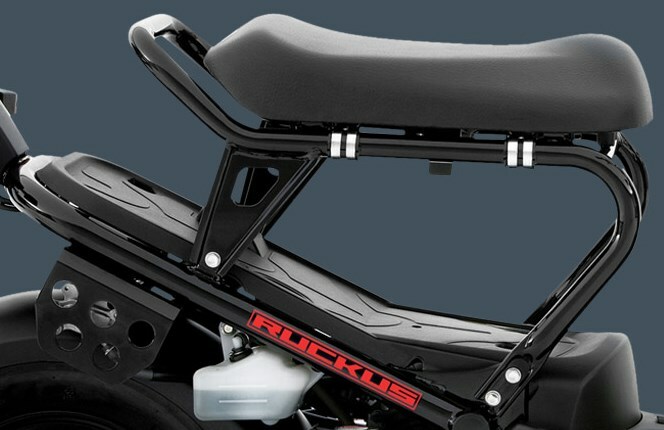 What makes the Ruckus so popular? It can tick a few boxes. It’s extremely easy to ride thanks to its fully automatic transmission as there is no clutch so all you have to do to ride the Ruckus is twist the throttle and go with both your front and rear brakes being easy to grab and even though its brakes may seem dated due to the being drum brakes, they do stop this gem pretty quick thanks to its weight only tipping the scales at 194 pounds. Another box it ticks is that it’s genuinely weird. In a good way though. It’s a look that’s not intimidating and doesn’t really lean towards being aimed at one gender over the other unlike the Metropolitan for example that are usually liked by females over men when it comes to styling. That’s not to diss the Metropolitan by any means as I know plenty of guys that ride them. Another box I would say the Ruckus checks off that many others don’t is that it wrecks well. 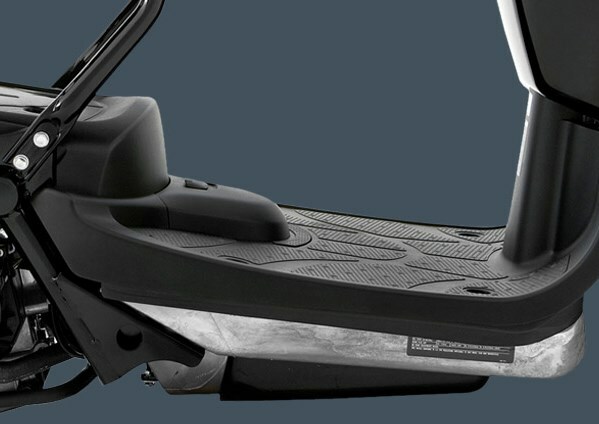 I know that sounds crazy but eventually you’re going to end up dropping your bike or should I say scooter, it’s not if but when as it happens to the best of us. 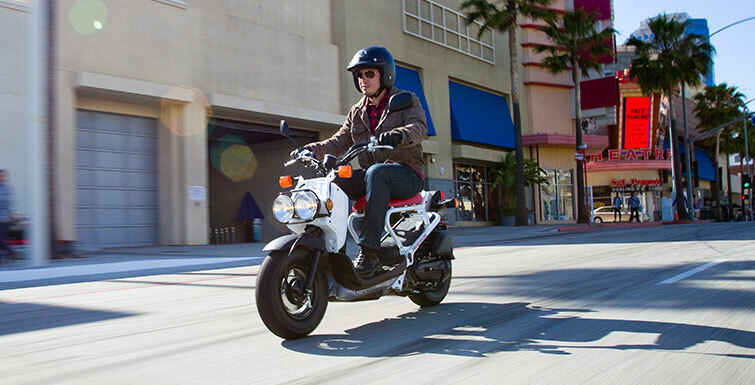 Thanks to the way Honda did the styling on the Ruckus you don’t have the typical plastic fairings, body panels etc that most scooters or motorcycles have that will be damaged when you drop it but that’s where the Ruckus shines. It doesn’t have any of that! 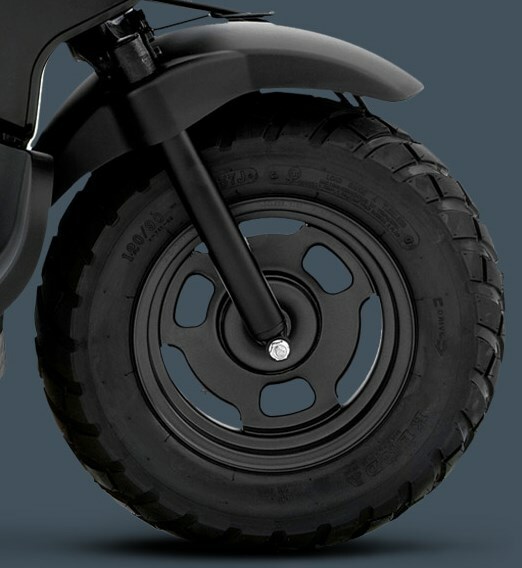 It barely has any plastic at all anywhere on it and the the turn signals are rubber-mounted so they can bend at a 90 degree angle without breaking off. 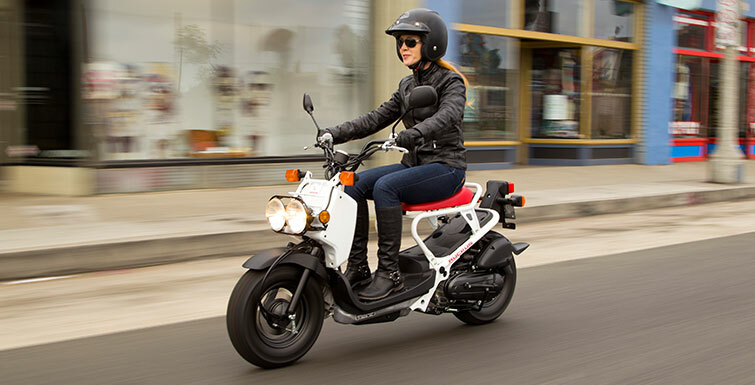 Lightweight 49cc four-stroke OHC liquid-cooled single-cylinder engine provides ample power for in-town riding. 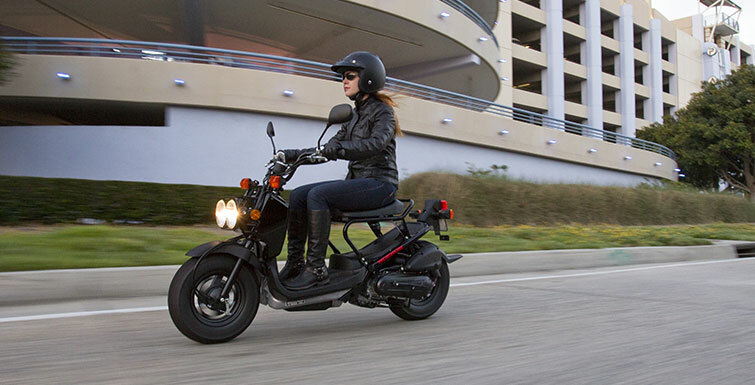 Electric starter system allows easy push-button starting. 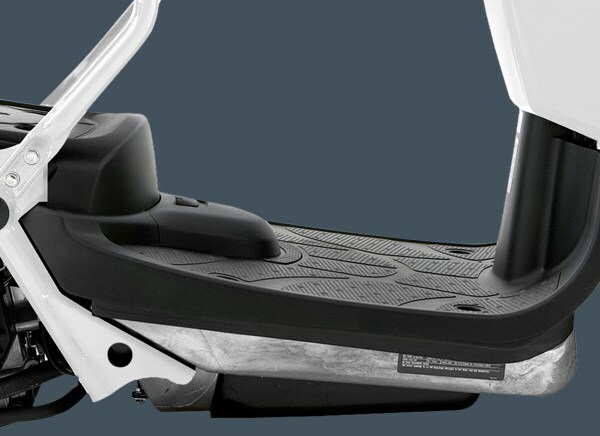 Starter system utilizes the engine’s brushless alternator (ACG) for starting, eliminating the need for a separate starter motor. This simple design requires no maintenance and further reduces overall weight for even better fuel economy. 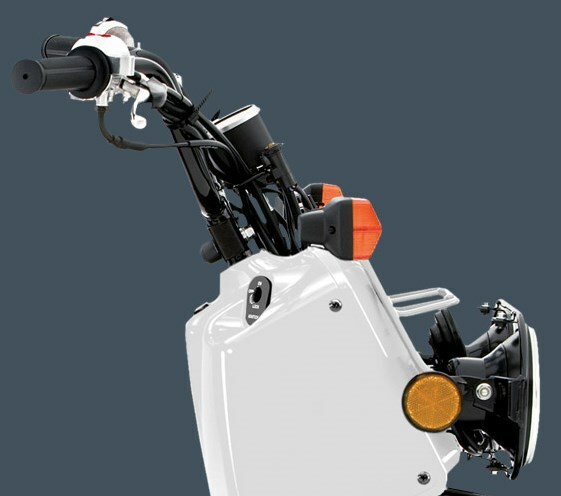 Compact, engine-mounted radiator has aluminum fins for optimal cooling in all riding conditions. 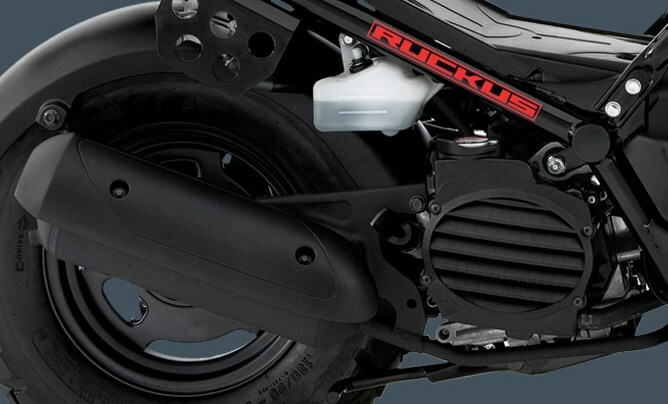 Electromagnetic fuel pump is located adjacent to the fuel tank under the floorboard of the Ruckus. 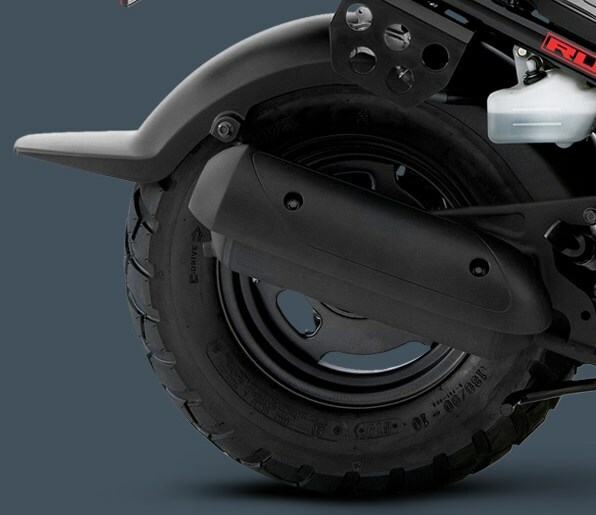 Two-piece, die-cast aluminum front frame with steel upper-rear frame. Twin-down tube fork provides 2.2 inches of plush travel for a well-controlled ride. 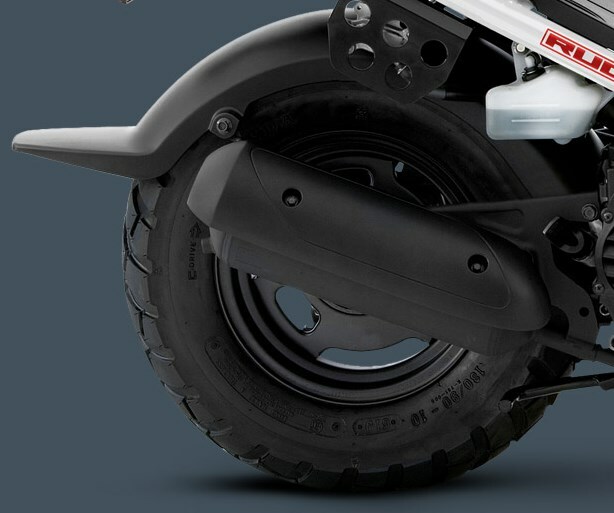 Front and rear drum brakes offer predictable stopping. 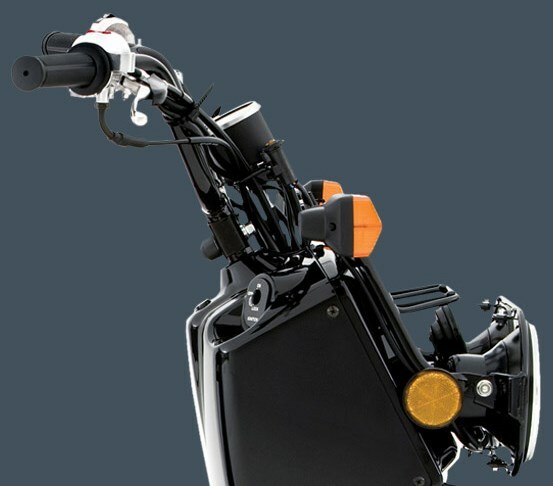 Well-padded seat boasts a low, 28.9 inch seat height for added confidence at stops. Instrumentation includes analog speedometer, odometer and indicator lights for fuel, coolant temperature and low/high beams. Fuel-indicator light comes on with 0.3 gallon remaining. Helmet holder locks helmet into place under seat. 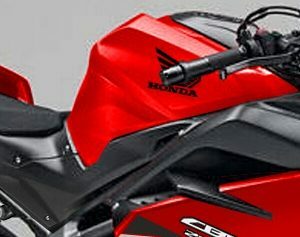 Transferable one-year, unlimited-mileage limited warranty; extended coverage available with a Honda Protection Plan extended warranty. Meets current EPA and CARB standards. What are some potential downfalls or negative things to mention about the Ruckus in my opinion? It’s still packing a carburetor. A Keihin 18mm CV carb with an automatic choke so you don’t have to worry about using a manual choke every time you fire her up. To some people having a carb will be a benefit though and to some it won’t be. Some people prefer having a carb because they are easier to work on. The downfall to having a carb is that we are seeing ethanol percentages in fuel increase and increase over time and it can lead problems if not cared for correctly. Other than that, it’s really difficult to say much negative about the Ruckus as long as you know what you’re getting into right off the bat and not expecting some little mini sport bike that’s going to do 50+ MPH etc or a dirt bike with suspension that will handle you sending it off the roof of your house etc then the Ruckus is hard to beat. 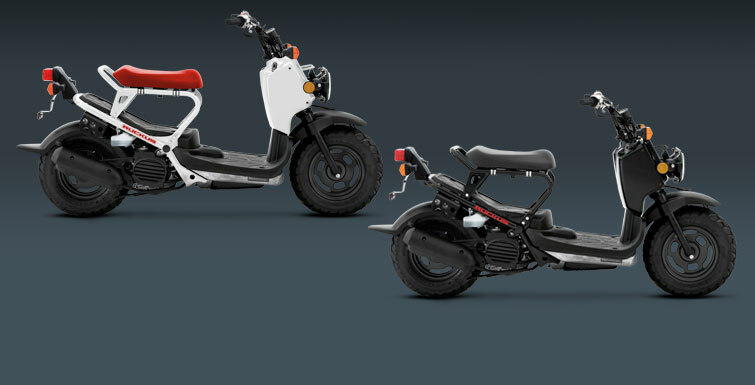 Well, one more quick thing – if I were just looking for negative things to say then I would add that I wish it was a little cheaper as its MSRP is knocking on the price of the Honda Grom which has more technology and is faster on every front while also delivering a better MPG rating but you lose the ease of having a fully automatic transmission as with the Grom you’re stepping into a “real” motorcycle with a clutch and manual transmission. All in all, it’s hard to beat the fun factory of these things with them being so small and light to where you can just twist the throttle and keep it wide open all day every day haha.